TechConnectWV, in partnership with U.S. 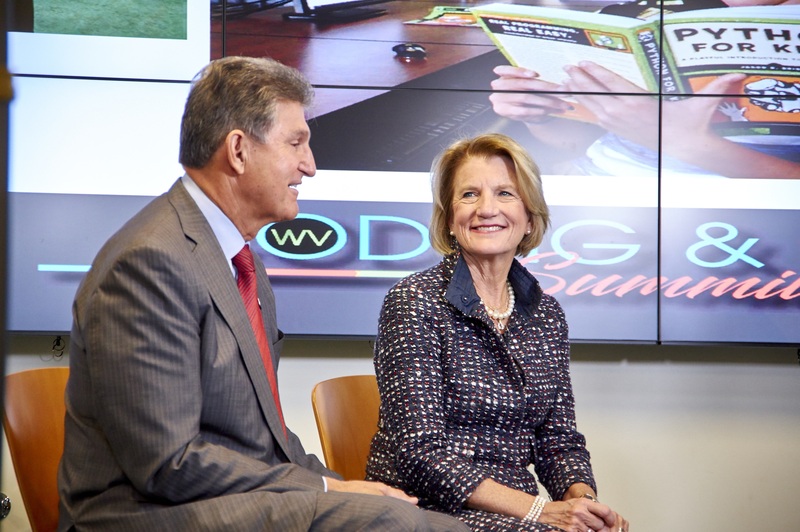 Senators Joe Manchin and Shelley Moore Capito, will host the West Virginia Coding & Cyber Summit from 9 am – 2:30 pm on Thursday, October 12 at the BridgeValley Advanced Technology Center in South Charleston, WV. REGISTRATION HAS CLOSED; however, we have a few spots still available. Space is limited, so please let us know if you would like to pay at the door on Thursday by contacting Ashley O’Neil at ashley@techconnectwv.org. Thank you! Hundreds of thousands of software coding and cyber jobs are unfilled in the U.S. right now, and that number is expected to climb sharply as technology continues to advance at an exponential rate. Half of the highest-paying jobs in America now require some level of software coding skills, market analysis shows. The good news is that while many of these jobs require a four-year degree, thousands of jobs will be open to individuals who receive certification through multi-week boot camps. Join us on October 12 to learn more about the possibilities for West Virginia to prepare workers for these jobs. TechConnectWV is proud to announce our sponsors, whose support makes this event possible. Thank you! Sponsorships are still available. To learn more, click here and contact Anne Barth at anne@techconnectwv.org or 304.444.2918 for more information. Exhibit space is also available. To learn more, click here.